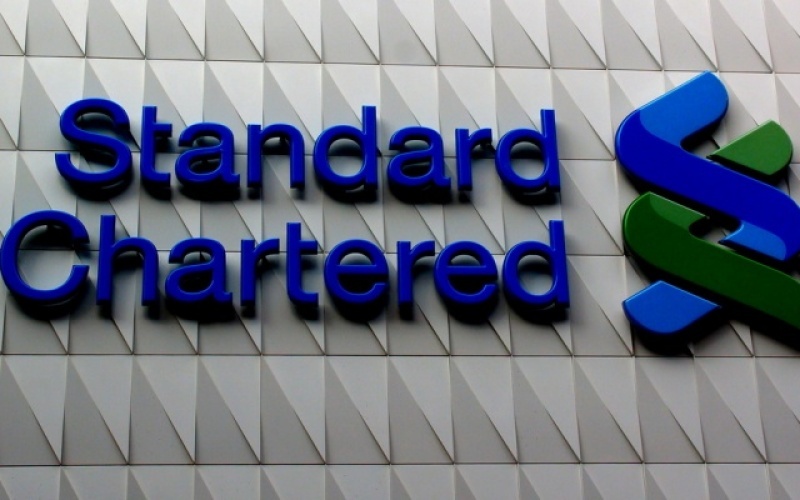 A new 2018 ranking of Ghanaian banks conducted by Credmap Technology, based on an assessment of their credibility has pegged Standard Chartered Bank, Stanchart at number one out of 20 banks. Zenith Bank (Ghana) Limited came 2nd, followed by Ecobank Ghana Limited in the 3rd position, United Bank for Africa (Ghana) Ltd in the 4th position, Barclays Bank of Ghana Ltd in the 5th position and Societe General (Ghana) Limited in the 6th position. The 7th position was occupied by Stanbic Bank Ghana Ltd, 8th position by Fidelity Bank Limited, 9th position by Access Bank (Ghana) Limited, 10th position by GCB Bank Limited , 11th position by CAL Bank Limited, 12th by Universal Merchant Bank Limited, and the 13th position by Bank of Africa Ghana Ltd. The rest of the positions were occupied by Bank of Baroda (Ghana) Limited in the 14th position, FBNBank (Ghana) Ltd in the 15th, Guaranty Trust Bank (Ghana) in 16th , First National Bank (Ghana) Ltd in the 17th, First Atlantic Bank Ltd in the 18th, GHL Bank in the 19th position and Republic Bank (Ghana) Ltd 20th position. According to a statement Credmap Technology the assessment draws on an index of the banks compiled using Credmap technology (www.credmap.com), a novel “credibility-rating” engine that is capable of combining crowdrating and data mining to generate “credibility scores” of individuals and institutions using pooled data about their track record, history, commentary, biography, popular sentiment and reputation. In this inaugural index, the primary focus was on the quality of bank boards and senior management personnel. The Konfidants team was of the view that in the wake of recent developments in the banking sector, corporate governance and management competence have emerged as, by far, the most critical factors in determining bank performance and success. Degree of board independence from shareholder and management control and influence (this factor was analysed using a proprietary “relationship graph” and “insider connections” rating logic). The Analysts were able to more rapidly doublecheck how traditional benchmarks such as “net interest margin”, “capital adequacy”, “asset quality”, “return on equity” and “return on assets” ratios conceal or reveal the most salient factors in bank governance and reputation, which in a period of tighter regulation and consumer apprehension become dominant weighting factors for all the traditional CAMEL rating indices of institutional health in the financial industry. With this novel implementation of Credmap in such a critical context, the door is now open for a more rigorous, scientific, and objective regime for appraising the credibility of public figures, influential individuals and institutions, as well as other high profile commentators. Credmap’s crowd-rating engine continues to grow in features and capabilities. In coming weeks and months the platform should enable deep and extensive assessment of the records and reputations of many influential people and organisations, whose deeds and words impact significantly on society. Michael Kottoh, Managing Partner of Konfidants, expressed the view that “because the recent banking crisis was fundamentally a failure of leadership – as opposed to the failure stemming from systemic risk in the wider economy — it’s crucial to throw more light on quality of leadership in the sector; as the country’s financial sector evolves and matures, the credibility of banks will increasingly depend on the credibility of their boards and management”. He mentioned weak risk management cultures as adequately measurable when personnel competence and track record, and board autonomy and capacity, are used as predictors. Commenting further, he said, “The analysis also revealed that not enough emphasis is being placed on Continuous Professional Education (CPE) for bank directors; this matters a lot for improving director competence and capacity to supervise management. We think the Bank of Ghana should impose mandatory CPE requirements and more aggressive CPE scores as part of the process of enforcing the broader ‘fit and proper’ rules directive”. CredMap is a civic movement dedicated to the use and promotion of various technologies to encourage truth-telling, fact-checking, and integrity, to influence the public to put a premium on the credibility of public figures and institutions. One key technology used in generating the ‘credibility score’ is CredGraph. CredGraph is the centrepiece technology backing the CredMap platform. CredGraph is composed of modules for CredScoring, CredRanking, and Source Page layout and analytics. The core algorithm has proprietary features of web crawling, social media feed scanning, digital mentions logging, sentiment analysis, ‘fact nugget mining’, accuracy labelling and feedback clustering. To speak to one of our data experts about the methodology used in the rankings and to join our consultation – and to ensure that your company or industry stays abreast with the impact of Credmap’s and Konfidant’s market and society scanning activity – email contact@credmap.com. Konfidants is an international management consulting firm advising multinationals, Africafocused corporations, governments and international financial institutions to achieve impact across the Africa region and beyond. In recent years, Scholars and analysts at Konfidants have been at the forefront of pioneering various innovative benchmarking tools being used by regional and global investors on the African continent — including the “African Globalizers Index” and the “African Sovereign Wealth Funds Index”.